There are numerous ways to positively impact cognitive, literacy and physical performance. No one of these methods will help everyone, with every condition in every situation. This includes the Learning Breakthrough Program™. 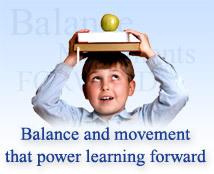 The Learning Breakthrough Program can be viewed as basic “brain fitness” or “brain weight-lifting”. This program is safe for anyone as long as common sense precautions are followed. Children should be supervised during program use. The website provides testimonials from actual program users. These testimonials are from real people who have experienced the program but are not connected to or paid by the company. We do not claim or imply that you can expect to attain the same results as those who have made testiments on our behalf. We can say with certainty that similar results will not occur unless the program is followed consistently and properly. We make every effort to present information here that is as frank and thorough as we can make it. There are many people who receive educational help through schools, private tutors and other developmental practitioners. Program use should enhance these efforts as it strives to strengthen, at a foundational level, the brain's ability to process all of the inputs generated by these educational content providers. Some clients are receiving treatment from a physician for conditions such as ADD/ADHD. We advise that you consult with your physician when you begin using the Learning Breakthrough Program™. Do not stop taking any prescribed medications unless specifically directed to do so by your doctor. The Learning Breakthrough Program™ is a respectable complement to drug therapy as well as a viable alternative should you be inclined to use it in this way. If your physician is unfamiliar with our program, please direct them to this web site or have them contact us for more information. Do not mistake the Learning Breakthrough Program as a quick “fix”, a “miracle cure” or as an easy road to success. Each person has an optimum point of brain processing potential. This program attempts to make it easier for you to reach that optimum point. If you want to learn to play the piano or to make your body stronger through weight lifting, you need to correctly practice and exercise over an extended period of time. The same thing is true with the Learning Breakthrough Program™. Many users have reported immediate benefit after beginning the program but this may not be typical and is certainly not permanent without continued use. High achievement does not just happen on its own nor is success generally achieved in one large step but rather as the result of many small steps. Our website represents an honest effort to share our insights and point of view as well as the experiences of others who have benefited from program use. No one knows exactly for whom and to what extent benefit will be dervived by using the Learning Breakthrough Program™. Consequently, it is impossible for us to guarantee results. We do, however, provide a 30-day money back guarantee should you not feel comfortable with any aspect of the program.